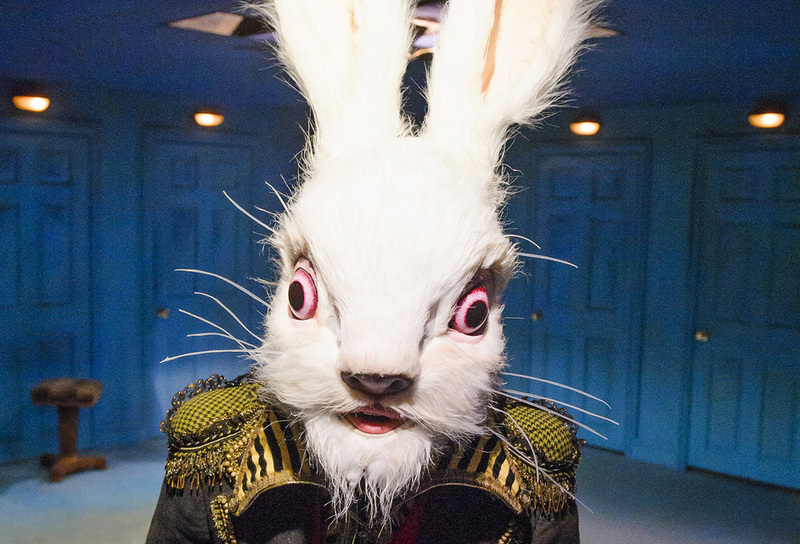 We have special offers available on tickets for Alice's Adventures Underground. Les Enfants Terribles and ebp's Olivier Award nominated wonderland, a huge hit here at the the Vaults deep underneath Waterloo Station two years ago, returns. Invited down the rabbit hole in groups of 56, Alice's Adventures Underground presents each audience member with a choice of 'Eat Me' or 'Drink Me', which affects the way their show unfolds. Dependant on the path chosen, guests will then be led on a journey through some of 33 different rooms, each unique with a story to tell - expect to meet a number of familiar characters along the way and join in on one hell of a tea party. This impressive fusion of puppetry, music, storytelling and modern circus-theatre is dark yet humorous and puts the audience in the midst of the action. In production for three years, it's a must-visit this summer. And be sure to have a boogie with the walrus, champagne in hand, at the after party. Not suitable for children aged below 11, instead see Adventures in Wonderland for children aged five to 10. What are the best dining options near Alice's Adventures Underground London? Alice's Adventures Underground gyms, sporting activities, health & beauty and fitness. The best pubs near London Alice's Adventures Underground. Alice's Adventures Underground clubs, bars, cabaret nights, casinos and interesting nightlife. Where to have your meeting, conference, exhibition, private dining or training course near Alice's Adventures Underground. From cheap budget accommodation to luxury 5 star hotels see our discounts for The Vaults hotels, including Park Plaza County Hall Hotel London from 88% off.